Boris Johnson – wolf in a buffoon’s clothing? Dangerously right-wing policies wrapped in a fuzzy exterior – but can Boris Johnson pull the wool over our eyes? After David Cameron’s calamitously poor speech at the Conservative Party Conference, everyone seems to be touting Boris Johnson as the new Great Blue Hope for the Nasty Party. He seems plausible, after all – a bear-like, genial-looking, slightly buffoonish, overgrown child who seems to fumble his way through his commitments, presumably on his way to a social get-together or a recording of Have I Got News For You. A friendly figure who should be taken to the public heart. In fact, he’s nothing of the sort. 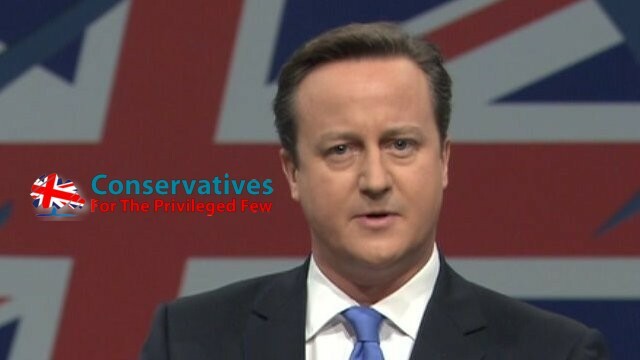 His policies are more right-wing and dangerous to the poor than Cameron’s. Let’s take law and order as an example. As London’s mayor, Boris has relieved more than 1,700 police officers of their duties, along with 1,800 community support officers. He then claimed that crime had dropped by 12 per cent. Recorded crime has indeed dropped, but only by 5.6 per cent. So he’s a liar. Last year, he spent £50 million making Metropolitan Police civilian staff redundant. Under Boris, social housing starts in London have fallen to their lowest level for a decade, with only 25 affordable properties being started in each of London’s 32 boroughs in the three months from April to June. That’s half the number for the same period last year. Local authority waiting lists show 366,613 households waiting for homes. For those on middle-to-higher incomes, home ownership is an increasingly distant dream, with Shelter estimating that the average first-time buyer must now rent for 31 years before they can buy their own home – at a cost of £300,000 in private sector rent. In this sector, rents soared by 12 per cent last year, but more than 33 per cent of homes do not meet Decent Homes standards, and tenants are often exposed to a lack of stability caused by rogue landlords and short-term tenancies. In his conference speech, Boris announced a new “Housing Covenant”, with £100 million to help 10,000 “modest income” households become home owners – but this doesn’t event claw back the amount the Coalition government cut from London’s affordable house building budget in 2010. In 2009-10, £310 million was spent on housing for first-time buyers. He has cut the London police force and reduced housing, despite rapidly rising demand. What do you think he would do if he was allowed to play with the whole of the UK?